Wireless communications systems to get data from an end user to a node in a major network such as the Internet or the proprietary network of a large business, academic institution or government agency. Wireless Backhaul can also refer to the transmission of network data over an alternative wireless route when the normal route is unavailable or overtaxed. 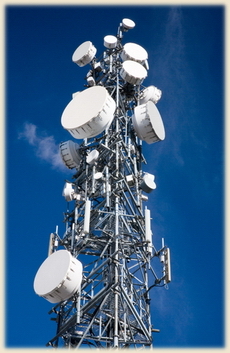 One common method of wireless backhaul involves microwave systems. Considerations for wireless backhaul involves items such as network capacity, expected or required data speed, relative cost, electromagnetic interference and the availability of radio frequency spectrum space.